It was a long and tiring day. Not to mention that it rained so heavily late in the afternoon and that adds more misery to the already miserable Jakarta with all its traffic and pollution. The journey from my office to Pacific Place was not a pleasant one as well though quite nearby. I was forced to use the less comfortable public transportation and took the wrong route to make it worse. The agony didn’t stop there, I was again forced to walk the long way from Crowne Plaza Hotel considering that using any public transport would be futile or wasteful. Therefore I fought against ticking clock to my appointment time, drizzling rain, splashes from puddles, slippery muds, toxic fumes, and the long walk. Well, it all started from an invitation for a coffee tasting at Ritz-Carlton Hotel Pacific Place from a good friend of mine, Mr. Burhan Abe (http://burhanabe.com), a seasoned and famous journalist. It didn’t take long for me to accept and the journey proved itself to be fateful. Long story short, I got acquainted with one of the PRs of Ritz-Carlton, Ms. Angelina. We all started with excitement and it turned out to be a delightful evening where we talk about the current project of Ritz-Carlton to introduce coffee to its customers. Here in Pacific Restaurant and Lounge, there are plenty to be enjoyed aside from the luscious interior look of the place and the extravagant view of Jakarta. People seemed to really enjoy their time relaxing with either their coffee, cigars, and other kind of refreshments Ritz-Carlton has to offer everyone. 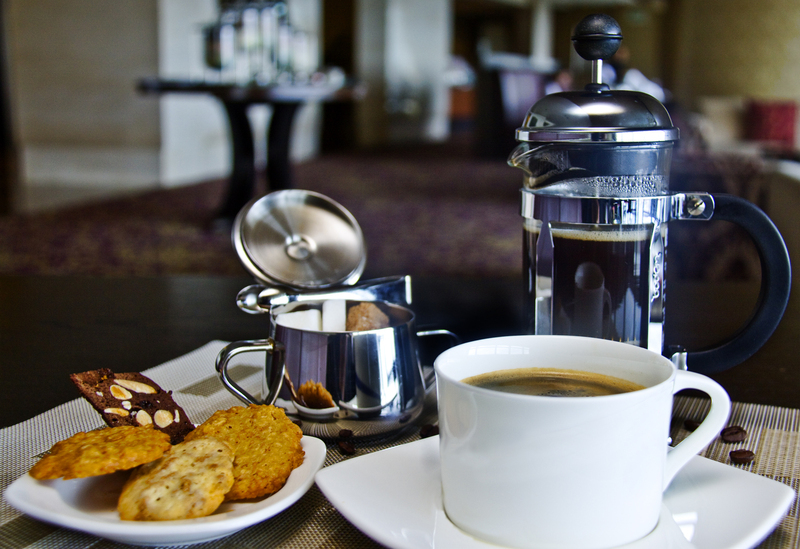 Since we came for the coffee, Ritz-Carlton proudly presents many kinds of coffee from all over the world, freshly brewed and French pressed. We were given the chance to taste four kinds that evening. The exotic Ethiopian Yirgacheffe, the balanced Colombian Supremo, the muscle strong Torajan Kalosi, and the nicely done Acehnese Gayo. So it’s the battle between the continents! Since Ms. Angelina informed us first about how she awed with the strength and the goodness of Torajan coffee, we decided not to start from there. First, it was the Ethiopian. The result was quite satisfying since it’s mild and suitable for black coffee beginners. There’s a hint of spice scent and it’s not acidic at all. A good start for us as we head for the Colombian afterwards. The Colombian Supremo proved itself to be quite dense with the higher body level than the previous one and again with no sign of acidic taste. Thus I was convinced that the Supremo is more at the advance level, but don’t get to carried away since we’re not arrive at the Indonesian coffee. Next would be both the Acehnese and the Torajan at the same time. Clearly, it’s a ‘lost cause’ from those who attempted to overthrow the Torajan Kalosi that night. Even though the Acehnese Gayo came in quite strong but the Torajan Kalosi retaliated with such fury and such greatness. Everything was dense with the coffee starting from the smell, the thickness, and up to the after taste. But make no mistake, clearly we have to judge almost about everything not only from the variety (in which we have to be grateful that there are so many choices out there to your liking) but also on how the coffee brewed and served. Sometimes most of all, we can’t ignore the fact that if you’re having a good time out there with your friends or even by yourself. That evening proved to be a great experience for us, great chats in a great place, and with great coffee. You wouldn’t bother about this coffee or that coffee especially me, considering the toll I had put myself through to honor the appointment. Not long afterwards, I got acquainted with another PR Ms. Hanny Gunawan and treated for a good fix of amazing dinner at the restaurant. So on my next journal, it will be about the dinner and our other fun we had on the dining table. The joyous evening still continues. Stay tune! 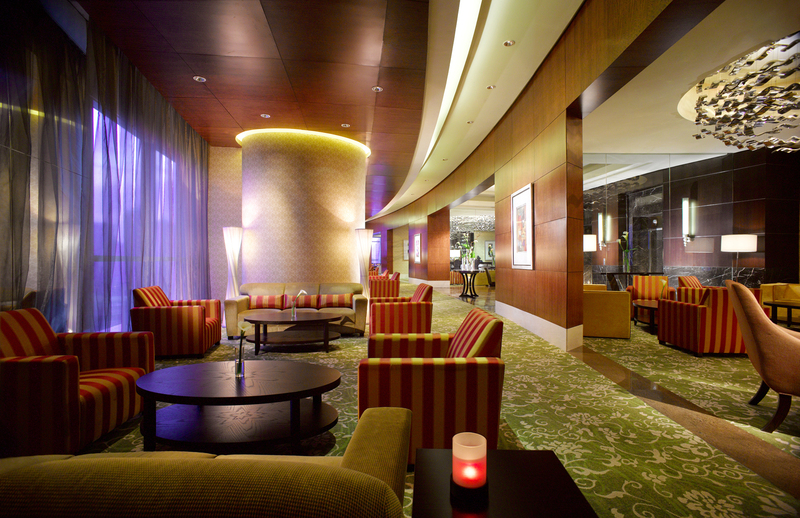 The Ritz-Carlton Jakarta, Pacific Place 6th Fl.